Thanksgiving is traditionally the busiest travel time of the year - when millions of people hit the roads, skies, waterways, and the rail system. In preparation, the rail service has beefed up its schedule. 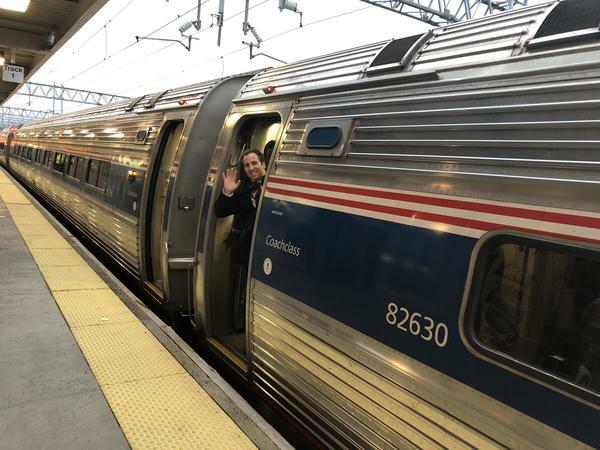 Amtrak is offering more trains with additional cars to accommodate holiday travelers. Spokesman Jason Abrams said more than 18,000 Amtrak riders came through Union Station in New Haven last year alone. They’re expecting at least that number this year, possibly more. But Abrams warns not to wait till the last minute. Amtrak had its largest passenger count ever last year with more than 777,000 riders across the country during Thanksgiving week. On the roadways police said they’ll conduct extra patrols. Connecticut state police spokesperson Tanya Compagnone said troopers will be on the lookout for motorists causing safety problems. That includes motorists who may be traveling to purchase recreational marijuana in neighboring Massachusetts, where the first commercial pot shops opened this week. Allow for extra time and patience - Triple-A is predicting more than 54 million people will be traveling this Thanksgiving - the highest travel volume in over a decade.